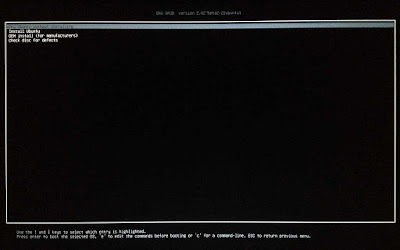 Normally Linux distribution ISOs work perfectly when written to a USB for booting as a 'Live USB' allowing both usage and installation of the distro. Unfortunately with the introduction of Intel Atom based mini PCs and tablets the issue of requiring a 32-bit bootloader to boot a 64-bit OS arose. Further complications were caused by the initial lack of 'mainline' support for HDMI audio and wifi/bluetooth resulting in either the need for custom kernels or for one of the more recent 'mainline' kernels. 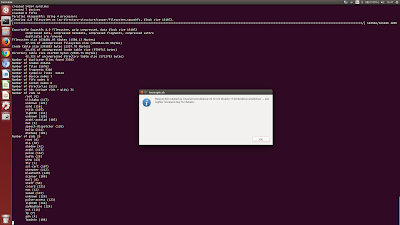 However because Ubuntu is not a 'rolling release' it is not possible to try the latest kernel or a specific kernel with a 'Live USB'. Now with the introduction of Intel Apollo Lake based mini PCs a new issue has arisen where GRUB simply fails to boot unless the device is one of the few with a BIOS option to select Linux as the OS. 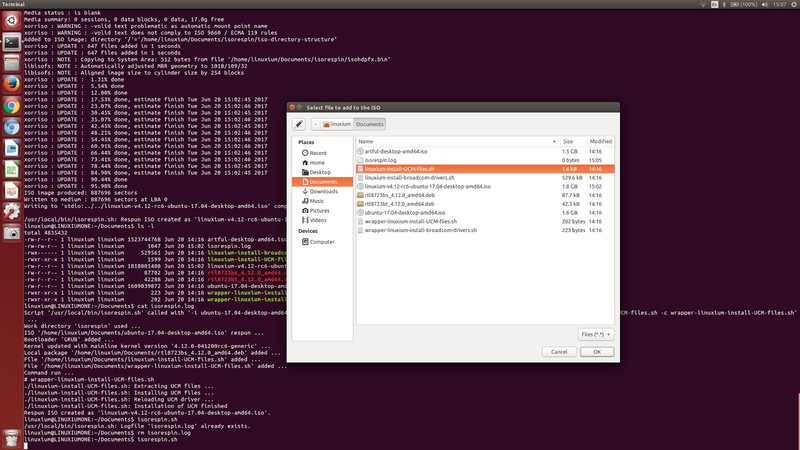 Whilst some Linux distros can work OOTB regardless of architecture and bootloader I found that for Ubuntu it wasn't that simple. Add a GRUB 32-bit bootloader to allow ISOs to boot on the many Intel Atom devices limited by their BIOS. Add functionality to boot ISOs on any Intel Apollo device regardless of the BIOS settings. Upgrade the kernel to the latest mainline version or to a specific version to benefit from recent patch functionality e.g. for audio and wifi/bluetooth or to use a rolling (HWE) kernel. Add (or remove) repositories, software packages, scripts and files to allow the installation of firmware and favourite programs. 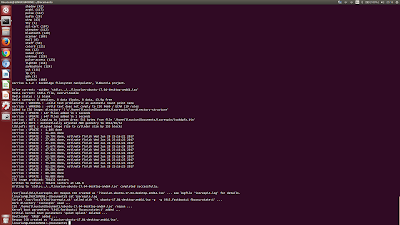 Preseed or perform set-up commands and scripts and also change system defaults and kernel boot parameters. Add persistence so that the ISO can retain data, installed software packages and settings across reboots. The script is called 'isorespin.sh' and works with all official desktop 64-bit Ubuntu (http://releases.ubuntu.com) and Ubuntu flavoured ISOs (https://www.ubuntu.com/download/ubuntu-flavours), Linux Mint ISOs (https://www.linuxmint.com/download.php), KDE neon ISOs (https://neon.kde.org/download), elementary OS ISOs (https://elementary.io), Peppermint OS (https://peppermintos.com/) and BackBox Linux (https://backbox.org/). And whilst Kali is not directly supported the Kali Metapackages (https://tools.kali.org/kali-metapackages) can be added when respinning an ISO. It can be run using either the shell CLI (command line interface) in a the terminal or using its GUI (graphical user interface). Not only will it generate a new ISO but it will also produce a log file which includes the options used when respinning the ISO and serves to document the respun ISO. It is a given that most people only read the manual page or documentation for a command either when they can't work out how to use it or somethings goes wrong after using it. And it is also much easier to post a question than read the documentation or understand an error message. However try and get through the following quick start guide first as it is designed to help. The following sections explain each of the steps in more detail together with an issues section, how to report errors and how to donate. Although it is expected to run the script on a Linux machine typically running Ubuntu or an Ubuntu based OS it also works on a Linux virtual machine on Windows (see below for further details). You will need certain packages like 'squashfs-tools' and 'xorriso' installed (use 'sudo apt-get install -y squashfs-tools xorriso' to install them) plus 'zenity' if you want to use the GUI. As different Linux distros have different packages installed by default the script will first check and notify you if any other packages are required. You will also need at least 10 GB of free space but this can be on external storage (e.g. a USB) as it can be specified as a location different to where the script is run from. For some options (such as updating the kernel) you will need a working internet connection as the script needs to download software. Also the script needs to be executable which can be achieved using the 'chmod' command ('sudo chmod 755 isorespin.sh'). 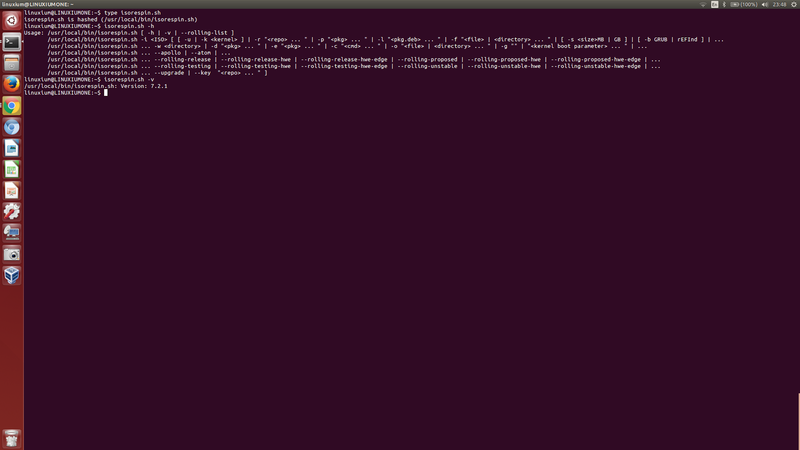 Finally as the script runs some commands (e.g. mount/umount) which require root access using the 'sudo' command you will initially be prompted for your password and must already have 'sudo' privileges. Running the script is really quite simple even though there are quite a lot of features or options making it look rather complex. -h or --help will display the 'usage' message. -v or --version displays the version of the script. -i or --iso must be specified and is the name (including the full or relative path) of the ISO to be respun. -u or --update will update the kernel to the latest Ubuntu Kernel Team kernel builds located at http://kernel.ubuntu.com/~kernel-ppa/mainline. -k or --kernel replaces the kernel with the version specified by the argument or value which can be any of the Ubuntu Kernel Team kernel builds located at http://kernel.ubuntu.com/~kernel-ppa/mainline and is passed as the directory or folder name without the trailing '/' (e.g. ' --kernel v4.11-rc7'). --rolling-list shows what new kernels are available for the kernel types of release, proposed, testing and unstable and which can be installed using the '--rolling-' option. All 'rolling' options need the 'curl' package to be installed. 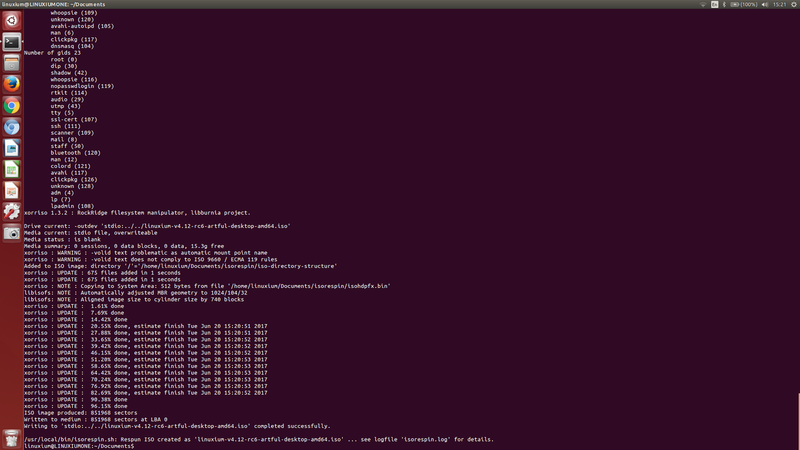 --rolling-release will update the kernel to the latest kernel for that specific release. --rolling-release-hwe updates the kernel to the latest HWE (Hardware Enablement) or LTS Enablement Stack kernel for an LTS release. 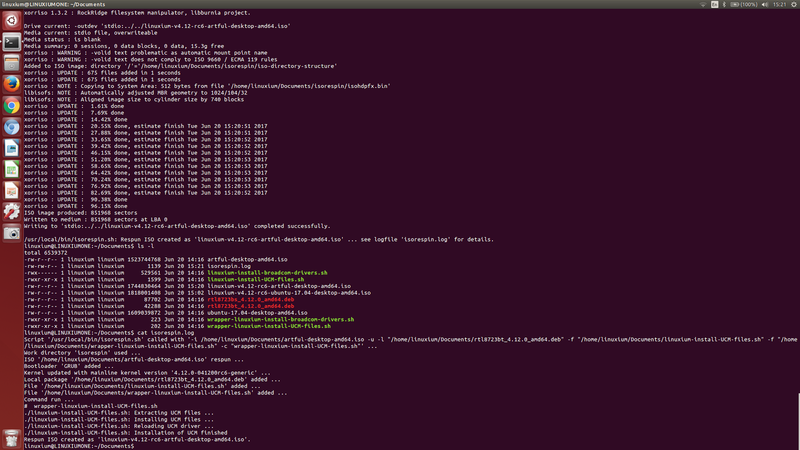 --rolling-release-hwe-edge updates the kernel to the upcoming HWE Stack kernel if available. 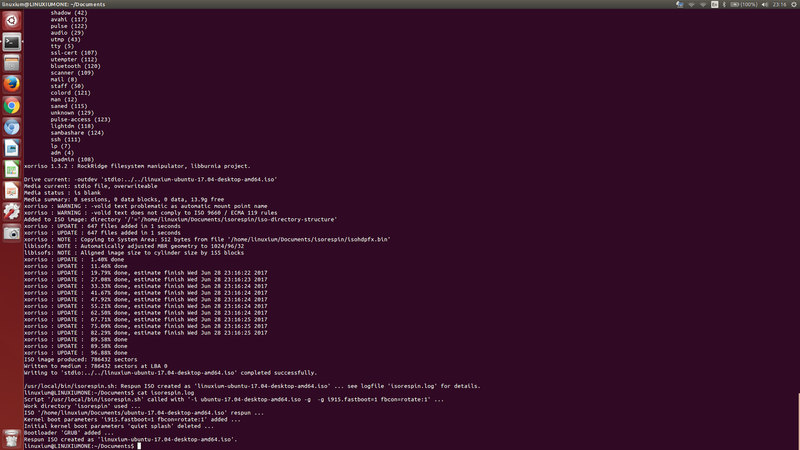 --rolling-proposed updates the kernel to the proposed next release kernel from the proposed repository if available. --rolling-proposed-hwe updates the kernel to the proposed next LTS HWE kernel from the proposed repository if available. --rolling-proposed-hwe-edge updates to the proposed next upcoming LTS HWE kernel from the proposed repository if available. 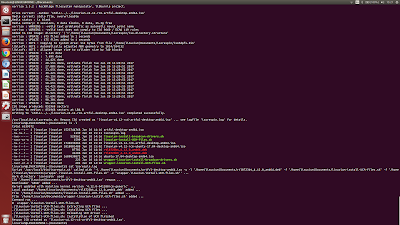 --rolling-testing updates the kernel with the latest kernel from the pre-release and test kernel repository if available. --rolling-testing-hwe updates the kernel with the latest LTS HWE kernel from the pre-release and test kernel repository if available. --rolling-testing-hwe-edge updates the kernel with the latest upcoming LTS HWE kernel from the pre-release and test kernel repository if available. 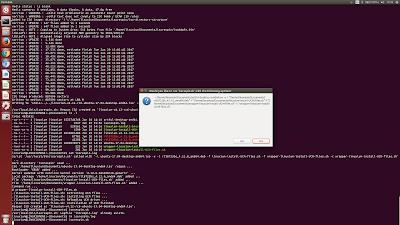 --rolling-unstable updates the kernel with the latest kernel from the unstable repository. 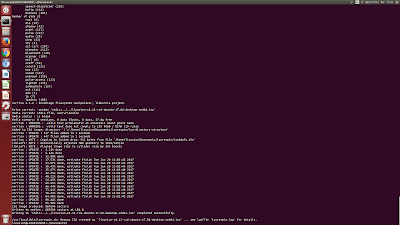 --rolling-unstable-hwe updates the kernel with the latest LTS HWE kernel from the unstable repository if available. --rolling-unstable-hwe-edge updates the kernel with the latest upcoming LTS HWE kernel from the unstable repository if available. -r or --repository adds the specified repository to the respun ISO. -p or --package will install a single package or a set of packages (if enclosed in quotes) that are available to the ISO and would typically be installed using the 'apt-get install <package>' command. This option is very useful in preseeding your ISO with packages you always normally install immediately after booting and will help resolve the issue of the ISO running out of space as a result of multiple installations. For example I typically include "ssh openssh-server inxi" when respinning an ISO for personal use. 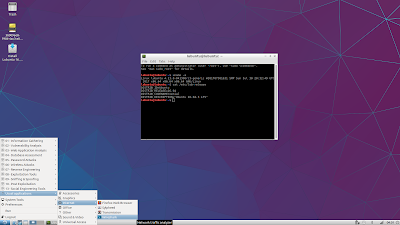 -l or --local allows local Debian binary packages to be installed within the respun ISO. Care must be taken in specifying the order of multiple packages to preserve any dependencies and of course all dependencies must be met for the packages to be successfully installed. -f or --file will copy either the specified files or directories to the respun ISO under '/usr/local/bin'. Although intended to allow local binaries or shell scripts to be saved on the respun ISO there is no limitation on the actual type of file that can be added. -s or --storage adds a specified amount of persistent storage to the respun ISO. A size must be specified although there is some flexibility on how much is allocated. The minimum size is 128MB which keeps the size of the ISO down but means that once a USB is created the persistence partition needs to be manually resized for normal usage. Alternatively a larger size can be specified to avoid the immediate need to resize as this can always be performed later. It is recommended to use a realistic amount somewhere between 1GB and 2GB to maintain the balance between a practical but usable ISO. 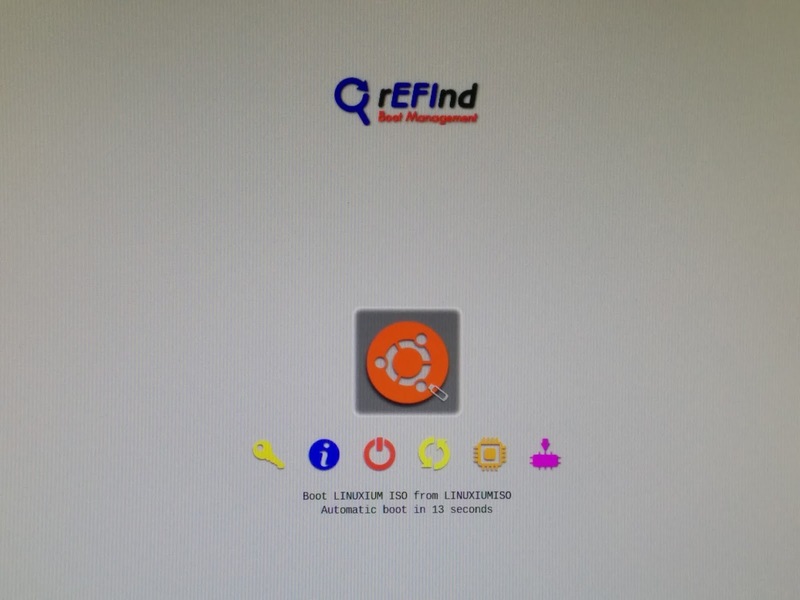 When creating a respun ISO with persistence the rEFInd boot manager will automatically be selected for booting the ISO although it will also need to be selected through the '-b' option if requiring the ISO to also install rEFInd. When using the GUI the persistence partition size can be defined using the slider which limits the size between 128MB and 2048MB. -b or --boot will add either the GRUB boot loader (which is added by default) the rEFInd boot manager or a Linuxium bootscript which currently is required for booting on a lot of the current Intel Apollo Lake devices. 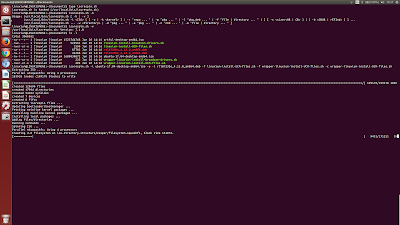 -w or --work-directory is used to specify where the ISO will be respun. This is primarily for overcoming the lack of space associated with mini PCs and allows the respinning to be run on temporarily connected external storage media such as a drive or USB. Once the storage has been connected and mounted it can be passed as a parameter. Likewise if a directory is then created on the mounted storage this can be passed as the argument or value for this option to ensure there is sufficient space (i.e. at least 10 GB) for the script to run. -d or --download will download Debian binary packages from the respun ISO using the 'apt-get download' command and save them under '/usr/src'. 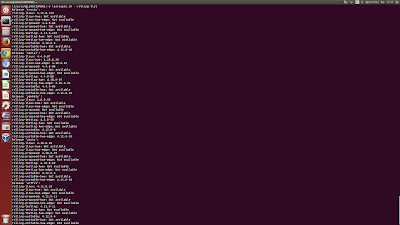 If combined with the '-o' option the Debian binary package will be accessible after respinning the ISO. 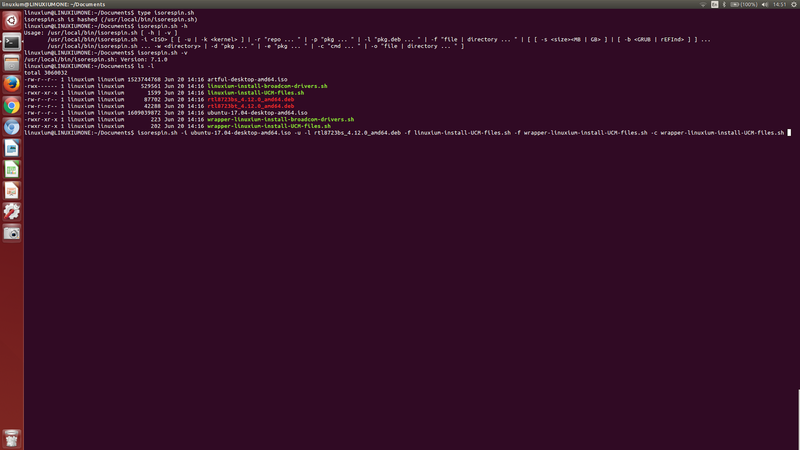 -e or --erase will remove Debian binary packages from the respun ISO using the 'apt-get purge' command. 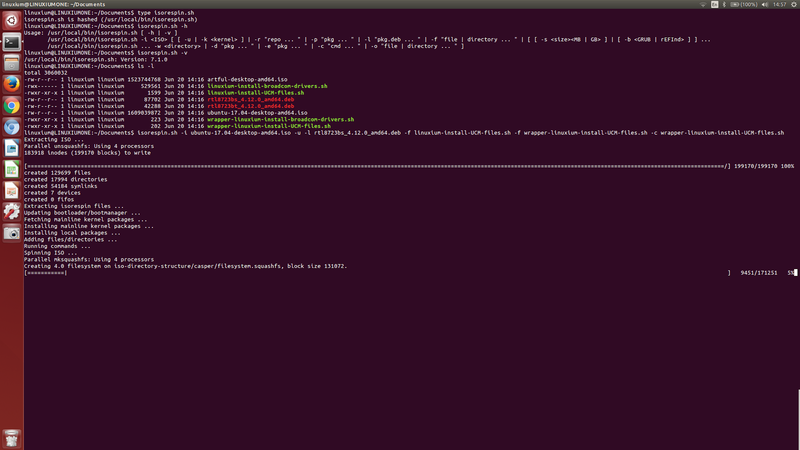 -c or --command will execute the supplied argument as a 'bash' command. Care must be taken when embedding single or double quotes within the argument as they are subject to interpretation. For more complex commands it is often both advisable and easier to write a simple shell script and use the '-c' option to execute it as part of respinning. 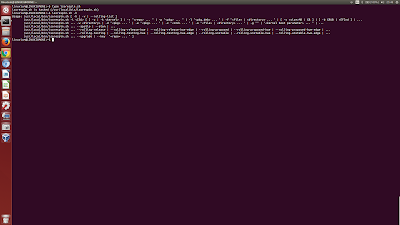 -o or --output will save either the specified files or directories to an output directory called 'isorespin'. This is very useful when wanting to extract files or packages that have been created or downloaded as part of respinning the ISO. -g or --grub will add the specified kernel boot parameters both to the GRUB/rEFInd boot menu and to the default GRUB settings or if an empty ("") argument is specified then the the ISO's initial kernel boot parameters will be removed. --atom include the flags, packages, scripts and commands that I recommend when respinning an ISO for a device with an Intel Atom (Bay Trail or Cherry Trail) processor and mirrors the manual invocations of '-l rtl8723bX_4.12.0_amd64.deb -f linuxium-install-UCM-files.sh -f wrapper-linuxium-install-UCM-files.sh -f linuxium-install-broadcom-drivers.sh -f wrapper-linuxium-install-broadcom-drivers.sh -c wrapper-linuxium-install-UCM-files.sh -c wrapper-linuxium-install-broadcom-drivers.sh'. This option requires the 'curl' package to be installed. --apollo include the flags, packages, scripts and commands that I recommend when respinning an ISO for a device with an Intel Apollo Lake processor and mirrors the manual invocations of '-b Linuxium'. --key adds GPG keys to the APT keyring on the respun ISO. Only available as a CLI option. 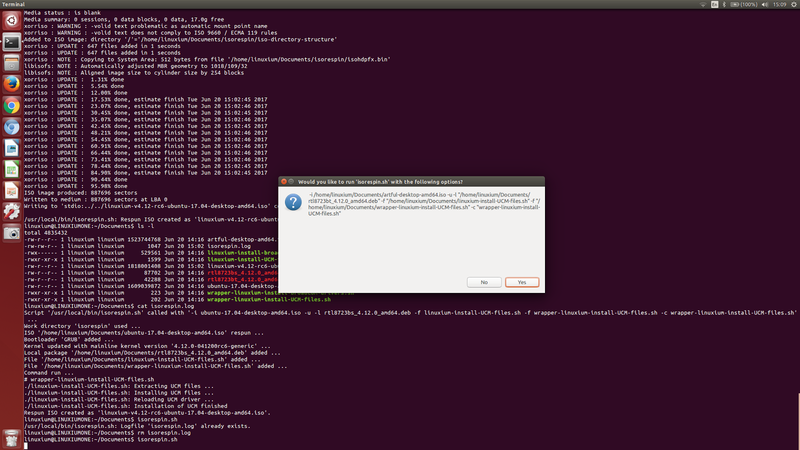 --upgrade performs an 'apt-get upgrade' on ISO's packages. Only available as a CLI option. The script can either be run as a local script or it can be installed by copying the script to '/usr/local/bin' where it will be accessible for all users after the script has been made executable using the 'chmod' command ('sudo chmod 755 isorespin.sh'). Depending on the options and their complexity the respinning will take quite a few minutes and the script provides updates on its progress whilst running. The respun ISO is created with a new name derived from the original ISO name and includes indicators of the options used like 'persistence' or the kernel version for example with full details being written to the log file. Once the ISO has been respun it can be written to a USB using the standard 'dd' command. The script can be run using the CLI by specifying options with arguments in any order. If the script is started without any parameters it first checks to see if it can run the GUI and if so starts with the main selection menu where all required options should be selected. 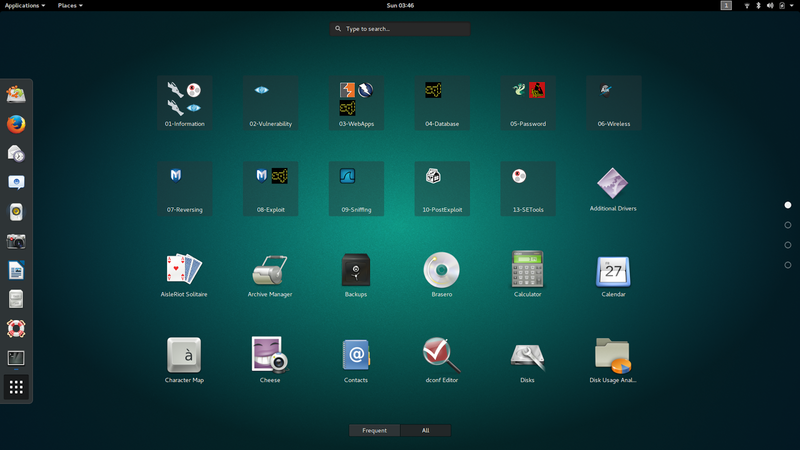 As seen above the GUI uses two menus with the first being a main menu of most frequently used options and an optional additional menu of the more advance options. For each option selected, a sub-menu will appear to allow the choice or value to be entered. If you want to use the ISO on an Intel Atom or an Intel Apollo Lake device then simply add either the '--atom' or '--apollo' option respectively when respinning the ISO. This is further explained under the section 'Target processors' below and uses functionality explained in the next section. Finally once you have respun your ISO you need to write it to a USB which is explained under the section 'Creating a LiveUSB' with booting explained under 'Booting your respun ISO'. A more complex scenario of respinning an ISO is when you want to add packages and run scripts to fix functionality like wifi/bt and audio. These can be incorporated when respinning an ISO. For the scripts you first add the file using the '-f' option and then execute the script using the '-c' option. 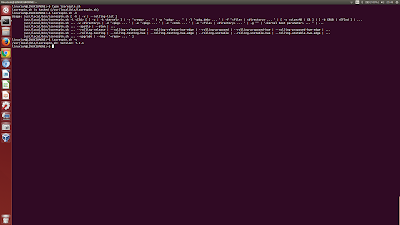 For a more complex example of using the script see Compiling your own kernel using 'isorespin.sh'. Adding persistence to an ISO is useful as it means that you can retain your data, installed software packages and settings between reboots. Persistence can be added as part of any ISO respinning simply by adding the '-s' option and defining the size of the storage to be permanently allocated in the ISO. As previously mentioned there is a balance between making it small and therefore resulting in a small ISO that requires resizing once booted (see below) verses a larger size and a corresponding larger ISO. As can be seen from looking at the size of the resulting ISO that it is large at around 3.8 GB but not too large to be totally impractical. 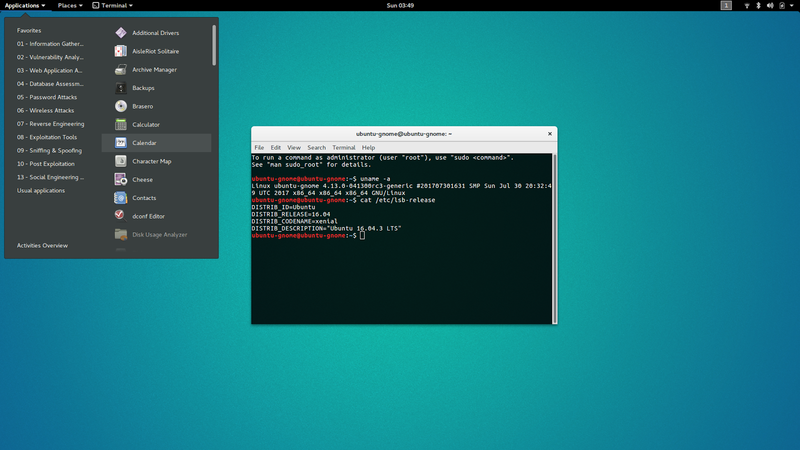 isorespin.sh -i ubuntu-17.04-desktop-amd64.iso -g "" -g "i915.fastboot=1 fbcon=rotate:1"
The need for rolling kernels is primarily to address the shortfall that existing ISO kernels typically don't have the hardware support required for the latest devices. They ship with the 'kernel of the day' whereas the latest hardware tends to require, well, the latest kernel to fully work. Ubuntu have in part addressed this through their LTS Enablement Stacks. Another alternative to get 'newer' kernels is to enable the proposed repository however there is also a pre-release and test kernel repository together with the unstable repository where mainline kernels are migrated into Ubuntu as well as the upstream mainline kernels. I've added an option '--rolling-list' to keeping track of what new kernels are available where with options to easily incorporate them when respinning an ISO. I've termed the kernel types as release, proposed, testing and unstable to reflect the repositories they are drawn from as described above. And if it is not abundantly obvious but any kernel other than the formally released ones are not encouraged for anyone needing a stable system or anyone who is not comfortable running into occasional or even frequent breakage. The files are automatically downloaded from the internet if they are not found as part of the command invocation and this should simplify respinning for those looking something quick and easy. Both these new functionality require that you have the 'curl' package installed prior to running the respin script however the script will check and warn you if it is missing. 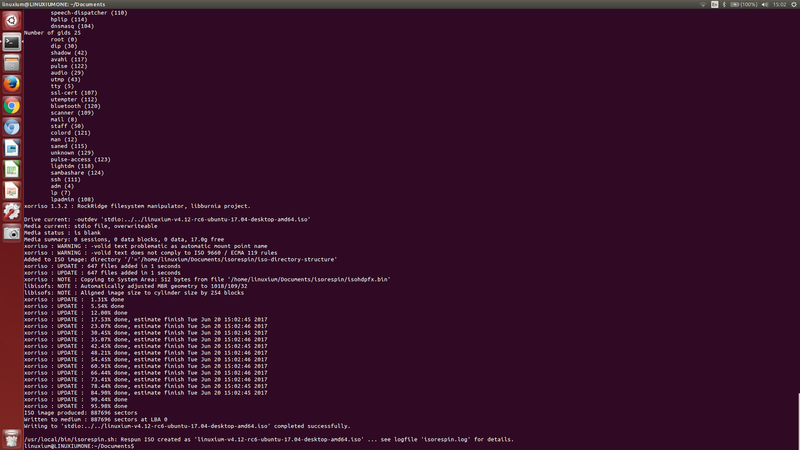 Created symlink /etc/systemd/system/multi-user.target.wants/brcmbt.service, pointing to /lib/systemd/system/brcmbt.service. 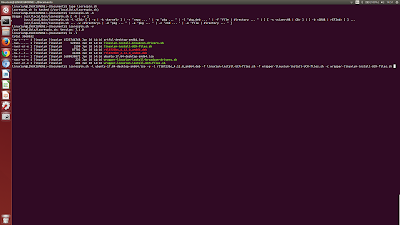 Running in chroot, ignoring request. 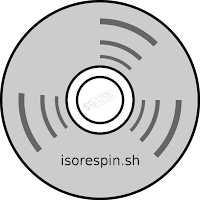 Respun ISO created as 'linuxium-v4.13-rc3-ubuntu-gnome-16.04.3-desktop-amd64.iso'. Make sure you select the correct device for the USB and always check first using commands like 'df', 'blkid' or 'lsblk' to confirm. ISOs can also be written to a USB using 'Rufus' on Windows if preferred. Having created the USB with your respun ISO the following information may be useful when booting and running. before the normal Ubuntu splash screen appears and the device fully boots. This 'error' can safely be ignored. If your device uses a Broadcom wifi chip and wifi isn't working even after adding the firmware using my script then it may be missing an SDIO file. By running the command 'dmesg' immediately after booting and looking at the output if you see messages showing that the wifi firmware 'txt' file is missing it is possible to use the copy from the Windows driver that is stored in NVRAM. The file should look something like '/sys/firmware/efi/efivars/nvram-74b00bd9-805a-4d61-b51f-43268123d113' and you actually copy it using 'cat /sys/firmware/efi/efivars/nvram-74b00bd9-805a-4d61-b51f-43268123d113 > /lib/firmware/brcm/brcm/brcmfmac43241b4-sdio.txt' substituting the actual NVRAM filename on your device and the correct *sdio.txt name for your driver. depending on device's chip. If bluetooth is always required then the command could be included in '/etc/rc.local' to avoid this step. Note that this uses 'systemd' so earlier ISO releases without 'systemd' cannot use my scripts to provide bluetooth. 1. Start with the device switched off. 3. Power on the device and press the relevant function key or key sequence to boot from the LiveUSB. 8. 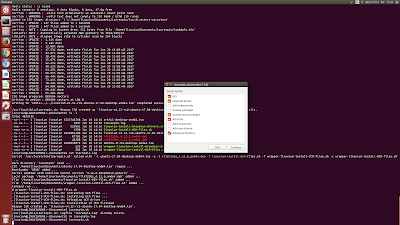 Remove the LiveUSB and reboot from the newly created Ubuntu entry. 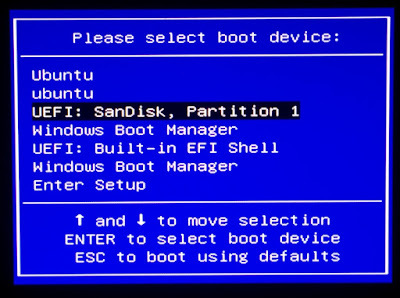 Note: If you have a dual boot installation then the ESP partition may be the second partition so modify the '-p 1' in the command above to '-p 2' or to whatever the ESP partition is. 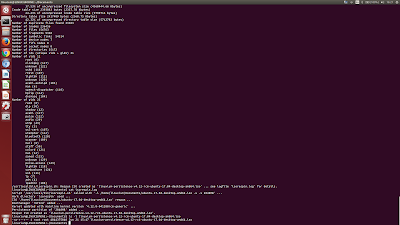 Likewise for some devices the eMMC is '/dev/mmcblk1' and not '/dev/mmcblk0' so again modify the command as appropriate. 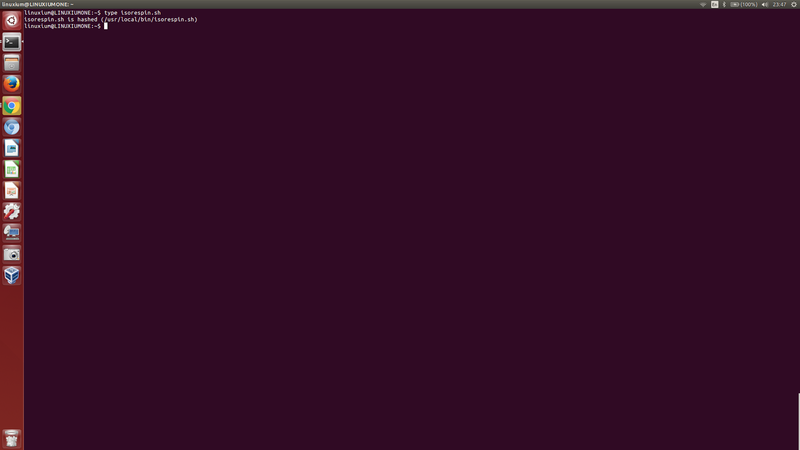 If your device uses a 32-bootloader then use 'bootia32.efi' rather than 'grubx64.efi' in the command. It also sometimes doesn't work first time and requires all the steps to be repeated which should then fix the issue. 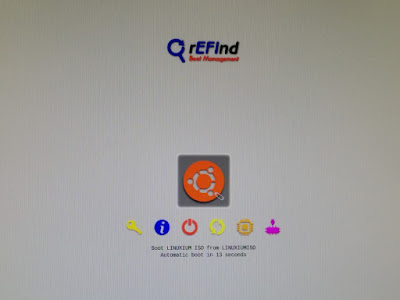 The rEFInd boot manager (http://www.rodsbooks.com/refind) can be downloaded from https://sourceforge.net/projects/refind/files into the same directory as the script is run from to prevent unnecessary repeated downloads if this is a concern and will make processing quicker. To prevent the file manager opening a window each time the script mounts a temporary file system I have run the command 'gsettings set org.gnome.desktop.media-handling automount-open false' first on my system. The script creates a lock file '.isorespin.sh.lock' in the directory where it is run from in order to ensure exclusive access to the run-time environment. If the script or machine crashes this lock file may need to be removed in order to rerun the script and you will be prompted should this occur. However it is not recommended to run the script in parallel from multiple directories as it is both CPU and I/O intensive and severe performance degradation would occur. it means that the script needs to be made executable which can be achieved using the 'chmod' command ('sudo chmod 755 isorespin.sh'). First download and install Oracle's VirtualBox on Windows and then create a Linux VM from a standard Ubuntu 64-bit desktop ISO and install to a VDI of fixed size (minimum 20GB). 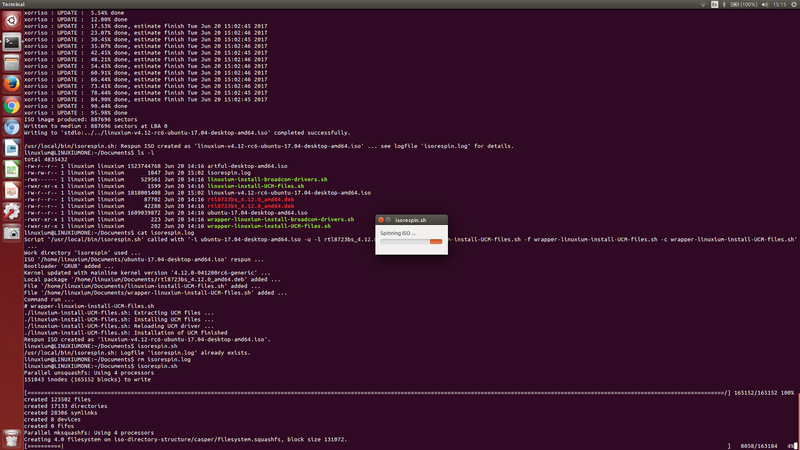 Start the new Ubuntu VM and install 'Oracle VM VirtualBox Extension Pack'. 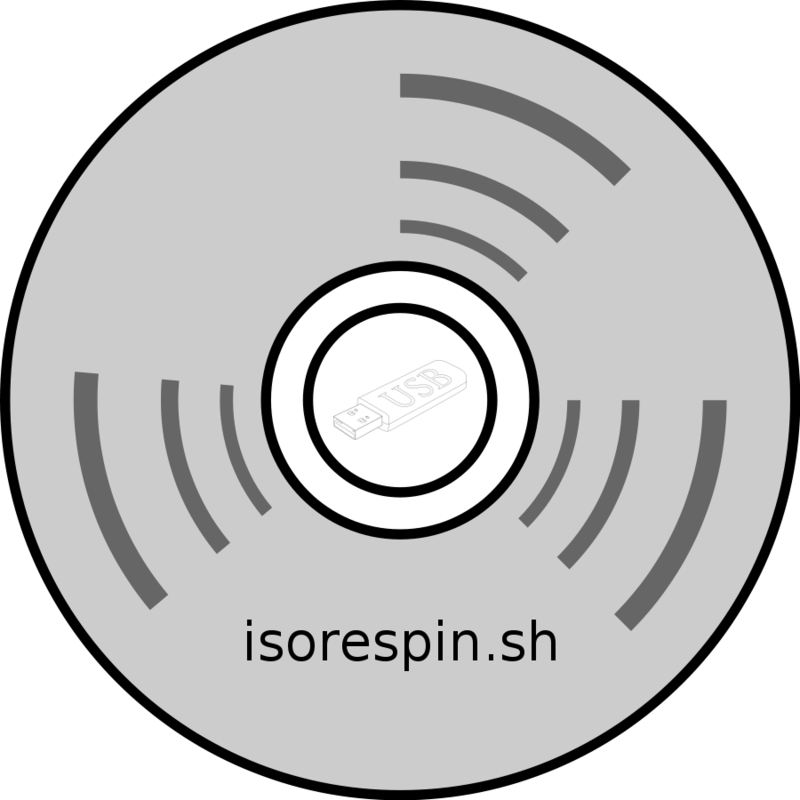 You can then download my 'isorespin.sh' script to respin the Ubuntu-based ISO of choice. 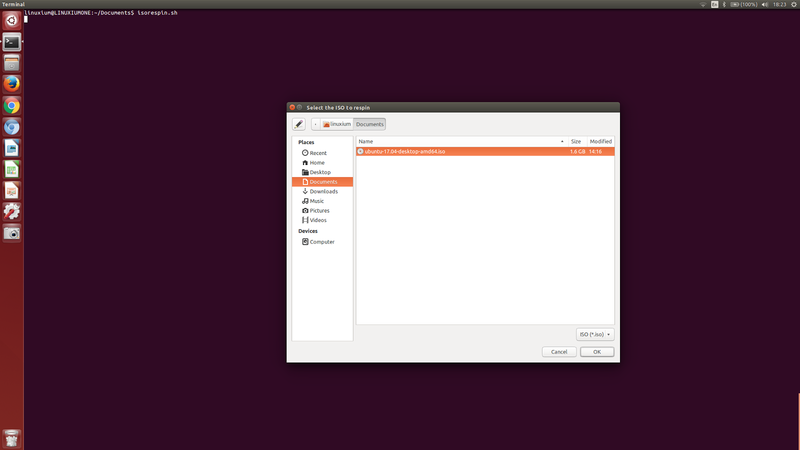 By installing the extension pack you will also be able to write the respun ISO to a USB using 'dd' from within the Ubuntu VM. Unfortunately 'Bash on Ubuntu on Windows' using 'Windows Subsystem for Linux' does not support 'loop' devices which are required by my script so an Ubuntu VM is the only working alternative at this time. or similar depending on which packages are missing from you environment. v4.9 includes the eMMC v5.0 driver required for accessing the internal storage in many devices. v4.11 includes the HDMI audio driver. v4.12 includes the RTL8723BS driver although you will still need the wifi/bt firmware. and then a reboot as the change only needs to be made once typically following installation. Whilst micro SD cards have worked on Intel Atom Bay Trail devices it is only since the v4.7.2 kernel that Intel Atom Cherry Trail devices have had any form of success. and although most Class 10 and below cards from any manufacturer except Sandisk work now without problem some UHS cards still fail. I've found Samsung UHS Speed Class 3 and UHS Speed Class 1 work whereas similar Sandisk cards fail crashing the device sometimes when inserting or removing the card. and then using it to select the audio output e.g. HDMI. Unfortunately some devices still require additional audio drivers or specific device quirks that have not been incorporated into the mainline kernel so sound may only work over HDMI and not through internal speakers or via the headphone jack even though the UCM files have been added. This is part of ongoing Linux development and future kernel releases hopefully will include the drivers required for currently non-working devices. The 'grub-efi-ia32' package failed to install into /target/. Without the GRUB boot loader, the installed system will not boot. My script solves this for Ubuntu ISOs as it will now add the required GRUB packages allowing the installation to successfully complete. However other Ubuntu ISOs including the Ubuntu flavours and distros based on Ubuntu (such as Linux Mint) etc. their installation without the internet on 32-bit devices is with varying success. In part it depends on the original ISO installation capability on 64-bit devices without the internet. For example as Lubuntu 17.04 cannot be installed on 64-bit devices without internet as the ISO does not contain '/pool' with required packages so likewise after respinning its installation on 32-bit devices is not possible. However Lubuntu 16.04.2 can be installed on both 64-bit and 32-bit devices after respinning (see http://cdimage.ubuntu.com/lubuntu/releases/16.04.2/release/lubuntu-16.04.2-desktop-amd64.listand http://cdimage.ubuntu.com/lubuntu/releases/17.04/release/lubuntu-17.04-desktop-amd64.list for detailed package information). Also for non-Ubuntu ISOs it depends on the availability of archived package versions as some ISOs are created with earlier GRUB package versions to those currently available. For example with Elementary OS the earlier packages are not available and it is not known where (or if) an archive copy is maintained so installing without the internet on 32-bit devices is not possible. Suspend in general has been problematic on Intel Atom devices and while new patches are continually being applied to the mainline kernel it is currently not working or incorrectly working on a number of devices. Unfortunately as I don't have a tablet I cannot advise on the various screen related issues some users experience using Ubuntu. 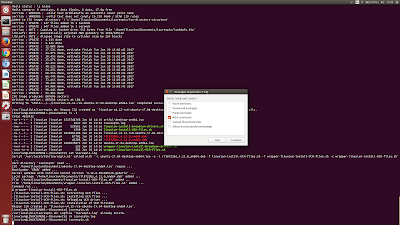 The best command appears to be 'xrandr' although its use is device specific. Many people have commented in previous posts with their solutions and I've included some of these below. xrandr -q | grep "connected"
with the primary one being your device. where the variable BRIGHTNESS can take a value between 3 and 9. Also others have reported that screen rotation during boot works with 'fbcon=rotate:1'. On Intel Apollo Lake devices you will need to include either the '--apollo' or '-b Linuxium' or '-b rEFInd' option when respinning the ISO to enable booting. Comments are welcome but when discussing an issue please include the name of your device and use 'pastebinit' or similar to post a URL to a copy of the output from 'dmesg' (which is basically a log of kernel messages). To use the 'pastebinit' command (see https://help.ubuntu.com/community/Pastebinit) first install the command by entering 'sudo apt-get install -y pastebinit' and then to share the kernel messages log enter 'dmesg | pastebinit'. 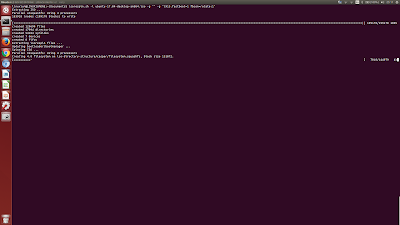 This will paste a copy of the output from 'dmesg' to Ubuntu's Pastebin and provide a URL to access it. Please donate if you find the script useful using the following link http://goo.gl/nXWSGf as everything helps with development costs. 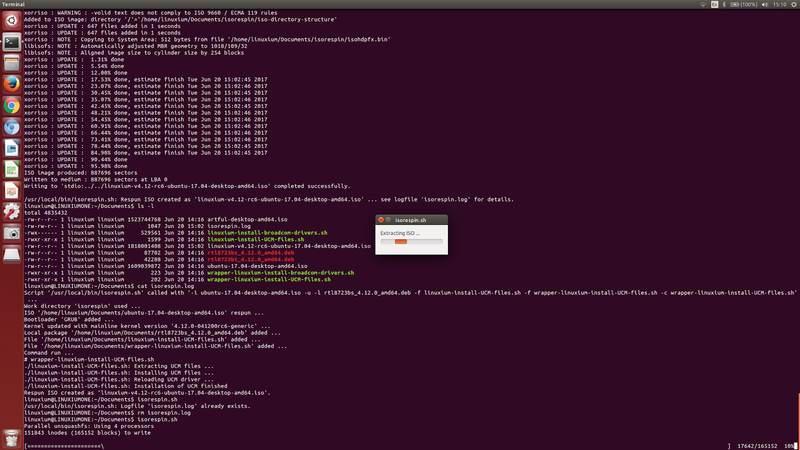 Currently dual booting Ubuntu and Windows relies on using the BIOS's 32-bit bootloader. 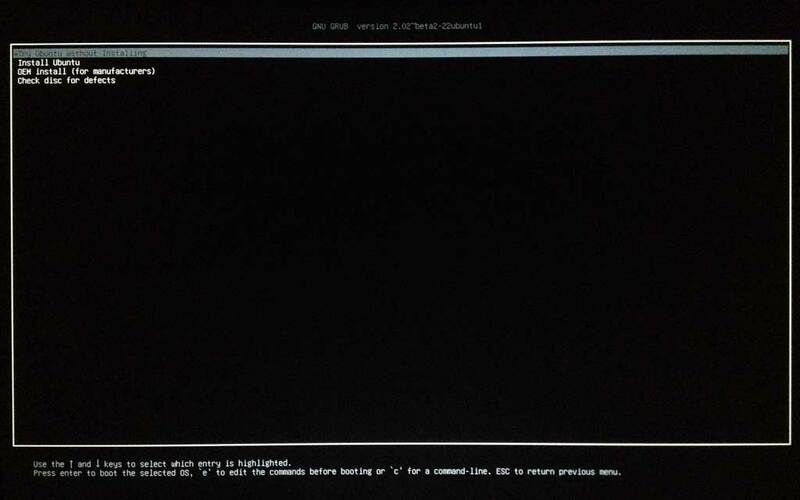 However booting sometimes results in a blank coloured (typicaly purple) screen so switching the OS requires a cold boot through the BIOS using the F10 option. This 'F10' dependency can be removed by simply re-installing Windows as a 64-bit version and the switch is free (i.e. you don't have to pay for it) as long as you have a qualifying Windows license (see How to migrate to Windows 10 64-bit from 32-bit versions of Windows). The whole process to configure dual booting is essentially straightforward and consists of three parts. First you need to prepare a USB for the Windows 10 64-bit installation. Then you need to install Windows 10 64-bit from the USB. Finally you need to download and install Ubuntu and configure dual boot. Because the switch from 32-bit to 64-bit Windows requires a new installation (meanings files, applications and settings will be deleted) you will also have to install native 64-bit drivers. I've created a video of instructions with screenshots (see https://youtu.be/UQPCYwz-PK0) which covers the process in more detail and will assist anyone wanting to dual boot. Remember to take a backup of any files you want to keep before you try this as otherwise they will be erased during the installation. And don't try going from Windows 8.1 to Windows 10 using this method as you'll probably end up having to pay for a Windows 10 license now that free upgrades have finished. Also this will not work on the first generation BayTrail Intel Compute Sticks (STCK1A32WFC) as the BIOS is not compatible with the Windows 64-bit ISO. Traditionally booting an ISO first requires the preparation of external media such as a USB using software before it can be used to boot from. But how simple would it be just to download the ISO and then be able to boot from it immediately? Although this is possible using virtualization or a hypervisor it still requires a virtual machine package to be installed. Another issue that mini PCs users have encountered is that running a 64-bit kernel from a 32-bit UEFI bootloader doesn't work. So I've created a simple bootloader that resolves these issues and only requires a minimal initial set-up and can then be used to boot ISOs directly after downloading them to the mini PC. 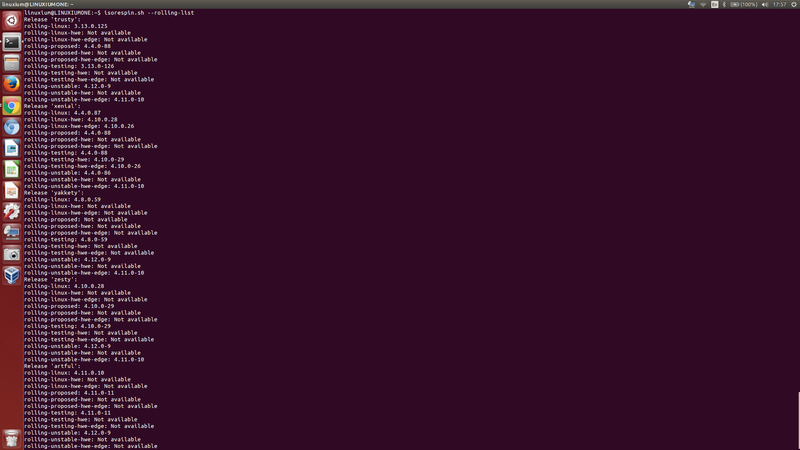 And it works on both Windows and Ubuntu including dual-boot systems. Finally copy the file from 'C:\iso' corresponding to the UEFI bootloader being used ('linuxiumia32.efi' is for 32-bit and 'linuxiumx64.efi' is for 64-bit), e.g. If you want you can now clean up 'C:\iso' e.g. Copy the file from /iso corresponding to the UEFI bootloader being used ('linuxiumia32.efi' is for 32-bit and 'linuxiumx64.efi' is for 64-bit), e.g. You can now clean up '/iso' e.g. Although any ISO can be used it must be saved as a file called 'ubuntu-desktop-amd64.iso' so the bootloader can find it. I've included 'amd64' in the name as a reminder that it is better to use 64-bit ISOs. Shortly after you'll see various messages as the kernel starts up (I've deliberately removed 'quiet' so you can see what is happening) before the desktop appears. And that's it; all ready to use. Because this is an ISO there is no persistence of data. And depending on the mini PC not everything like wifi and sound will work on a standard ISO. efibootmgr -c -d /dev/mmcblk0 -p 1 -l "\EFI\iso\linuxiumia32.efi" -L "Boot from ISO"
efibootmgr -c -d /dev/sda -p 1 -l "\EFI\iso\linuxiumia32.efi" -L "Boot from ISO"
depending on your installation so please make sure the syntax of the command is correct for your mini PC. First install Ubuntu 14.04.3 LTS. Download 'ubuntu-14.04.3-desktop-amd64.iso' from http://releases.ubuntu.com/trusty/ and install from USB using 'dd' (or 'Rufus' on Windows). If you ever needed to understand the concept 'kernel mainlining' then you should look no further than the issue of HDMI audio support for Linux on Intel's Atom Bay Trail and Cherry Trail CPUs. Intel developed a source code patch for Ubuntu 14.04 to provide for Low Power Engine (LPE) Audio support on Bay Trail High-Definition Multimedia Interface (HDMI) (see https://01.org/ubuntu-hdmi). 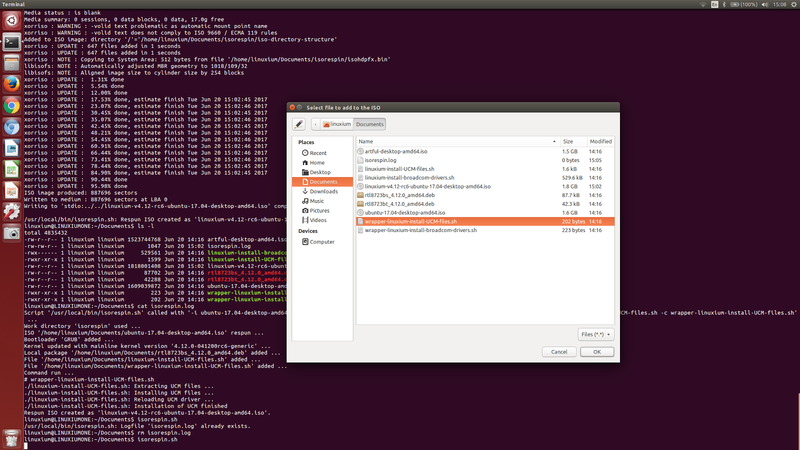 At the time the mainline kernel was 3.16.7-ckt3 and the patch was for the Ubuntu 'trusty linux-lts-utopic ' kernel 3.16.0-30.40. But because the source code was developed as a patch to a specific kernel, when Ubuntu 14.04 moved to the 'trusty linux-lts-vivid' kernel (or 3.19.0) it meant no more LPE Audio support for HDMI as the source code was a classic example of out-of-tree code. Had the code been merged into the mainline kernel (the "mainline" being the kernel maintained by Linus Torvalds and used as a base by Linux distributors) then the code would have been available to all Linux users and more importantly would have been available in new kernels going forward. Now it would be easy to therefore blame Intel for the lack of audio support given how these CPUs are being used in mini PCs however it must be remembered that companies have to make commercial decisions as contributing code incurs cost and expense. And Intel's current processor strategy excludes Linux support on “tablet” processors. Furthermore Intel is no exception in making decisions and reviewing them as required so we have to accept any implications for mini PCs at this time. Also there is also nothing to stop developers working with the kernel community to get the code into the mainline kernel. Except in this case we've kind of missed the boat. 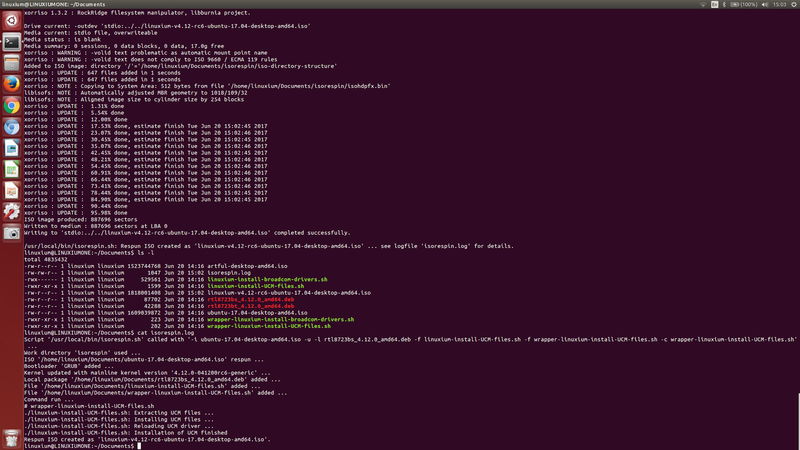 There's a lot of effort required now to port that patch ready for the current mainline kernel. And then the code would have to be back-ported to all the other kernel versions used by different distros, releases and development projects: like Android, OpenELEC, Chromium OS etc. But given that mini PCs have been in a steep development curve there is also question mark of whether it is worth it when a new CPU is just around the corner. 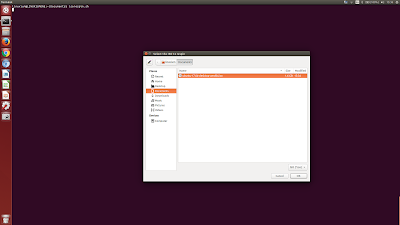 A quick speaker test confirmed that both left and right were working in Ubuntu. 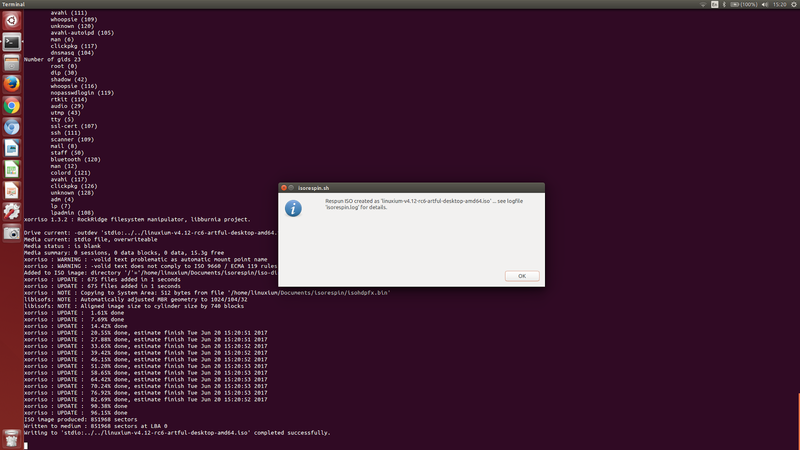 So then I tried with Android-x86 and yes there was ... sound. Although not technically much of an achievement at least I have working audio. Which means that I can still try to get HDMI audio working through writing code but the pressure or urgency is no longer there. 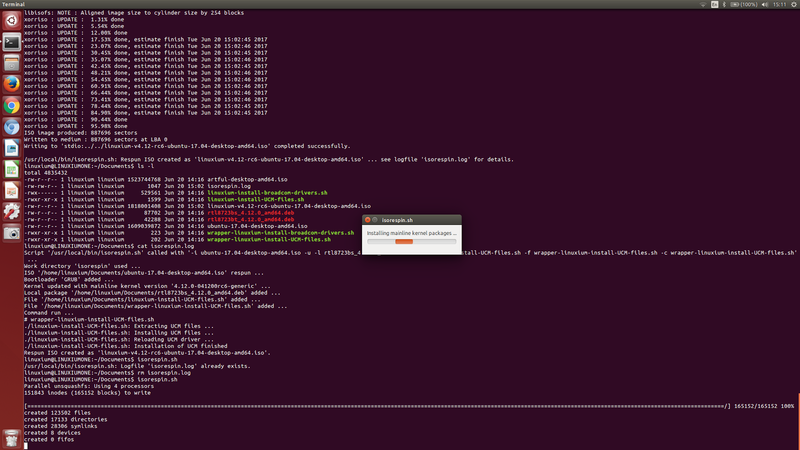 Plus I get to listen to some music now while I hack away at the code regardless of the OS I'm running. Chromebooks, boxes and most recently bits continue to proliferate partly due to their simplicity in providing an immediate connection to the web through Chrome without the hassle of lengthy boot-ups, enforced wait while automatic update install or having to navigate through menus to start a browser application. So wouldn't it be nice to get similar functionality on an Intel Compute Stick (Sterling City) without necessarily having to install any software on it or replace your existing OS? Well whilst Google Chrome OS is the Google product that OEMs ship on Chromebooks/boxes/bits for general consumer use Google have released fundamentally the same code base as the Chromium OS open source project. Developers can then compile and build Chromium OS for specific hardware. And in some cases they then release their builds to the community for all to share. I've tried some of the existing community builds of Chromium OS on the Intel Compute Stick (Sterling City) only to find that they wouldn't boot. So I've built and tested a specific version just for this device and packaged it to run on a USB. This means you can boot directly from a USB into Chromium OS and use like a regular OS as everything will be saved (as in persistence) when you shutdown allowing you to restart from where you left off. First set the BIOS 'Select Operating System' to 'Windows 64 bit' and ensure USB booting is enabled so you can obviously boot from the USB. Note that if you want to reboot into Windows then you'll need to reset the BIOS 'Select Operating System' back to 'Windows 32 bit' if you are using the default supplied Windows installation. Next download my Chromium OS image file from https://drive.google.com/file/d/0B99O3A0dDe67QWM4bHdrTE1na1k and uncompress it (e.g. 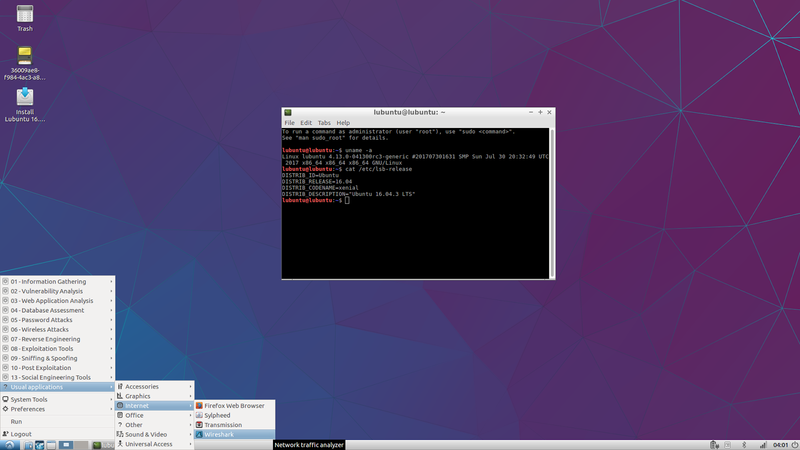 in Linux enter '7z x linuxium-ics_sc-chromiumos_image.bin.7z'). Now write the image file to a USB (e.g. in Linux enter 'dd if=linuxium-ics_sc-chromiumos_image.bin of=/dev/sdX bs=4M' changing 'X' for the relevant drive letter (e.g. a for /dev/sda) corresponding to your USB. Finally attached the USB to your device and rapidly hit F10 after power-up to show the boot menu options and then select the USB. Now watch while the system panel appears along with the Chromium browser. As soon as your settings have finished being synced you're set to go! Again you should replace 'X' with the relevant drive letter (e.g. a for /dev/sda) corresponding to your USB. Also note that there are three blank lines in the above 'gdisk' command which must be included for the command to execute correctly. You can now reboot from the USB and run Chromium OS again. First make sure there is sufficient disk space by increasing the 'home' partition to utilize all the available space on the USB (see the above instructions). Click on the link at the top of that web page found in the line that reads 'Chromium OS Universal Chroot Environment https://goo.gl/fd3zc'. Hit 'Ctrl-Alt-t' to bring up 'crosh' (the Chrome OS developer shell). Now watch and wait for the installation to complete, entering your username and password when requested. The USB used for Chromium OS must be fast enough to ensure performance so don't use the oldest USB you can find lying around. 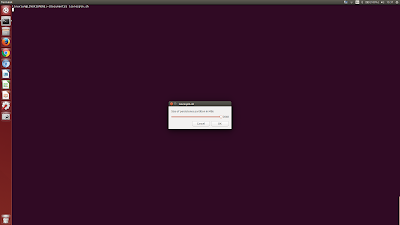 The minimum size for the USB is 4GB to run Chromium OS or 8GB if you are also going to install Ubuntu via Crouton. I currently immediately stop 'powerd' (the system daemon that manages power states) on booting Chromium OS to prevent freezing and lockouts caused by being idle/inactive or entering sleep mode From a 'crosh' window bring up a 'shell' and enter 'sudo stop powerd'. The password for 'sudo' is 'p' i.e. a single lower-case letter p.
This is a development release of Chromium OS and is based on code released by Google (see https://www.chromium.org/chromium-os/developer-guide) compiled specifically for the Intel Compute Stick (Sterling City). It will not work on other devices. Whilst every effort has been made to make this release as stable as possible it is probably not advisable to use it in production systems. Enjoy and please donate (http://goo.gl/nXWSGf) if you like my work to help cover the ongoing costs of bring you these exciting developments. With the growing interest in Remix OS and the new Phoenix OS I thought it would be interesting to install these Android-x86 based systems together with the original Android-x86 on the latest Intel Compute Stick to be able to see what the key differences are. The following instructions should be simple enough for anyone to follow and work on the new ICS STK1AW32SC. 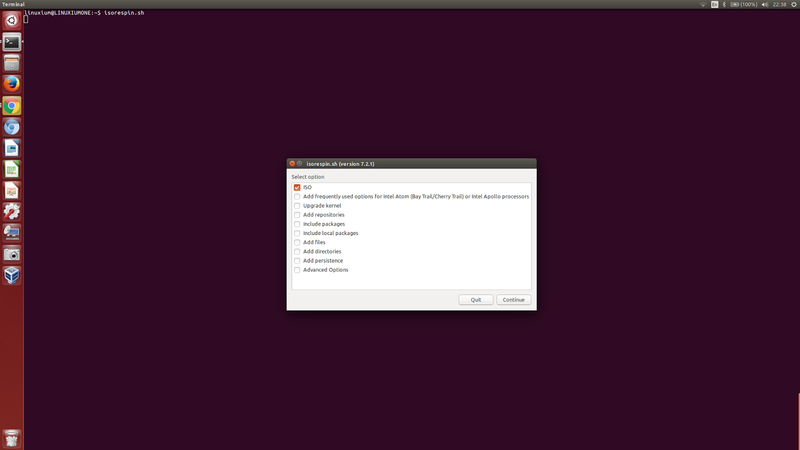 It is possible to multi-boot Windows, Linux and the Android based systems and I've previously posted instructions for dual-booting Windows and Ubuntu so I'm assuming that an Ubuntu installation is already understood. So the starting point is to set the BIOS 'Select Operating System' to 'Windows 64 bit' and ensure USB booting is enabled so you can install Ubuntu from a USB. 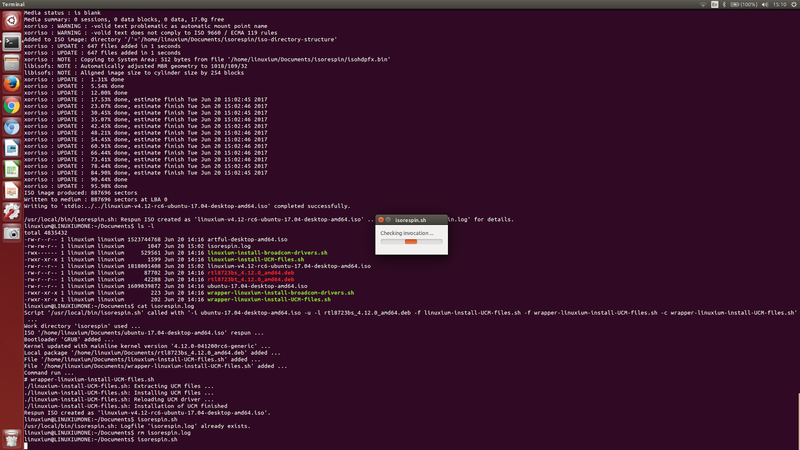 First create a LiveUSB with Ubuntu 15.10 and install on your ICS SC. Note that I did try 14.04 but it didn't work initially and I haven't investigated any further to determine if it would be possible. You could modify the 'count' if a larger file is required however I recommend 2GB as a minimum. You can now delete all the downloads and any files/directories created from the above commands to tidy up and save on space. If you are using 'cut&paste' to enter these commands then make sure to only copy and paste each section of seven lines at a time otherwise you might find the shell doesn't recognise the 'EOF' line due to trailing spaces and you'll end up just with one big file! 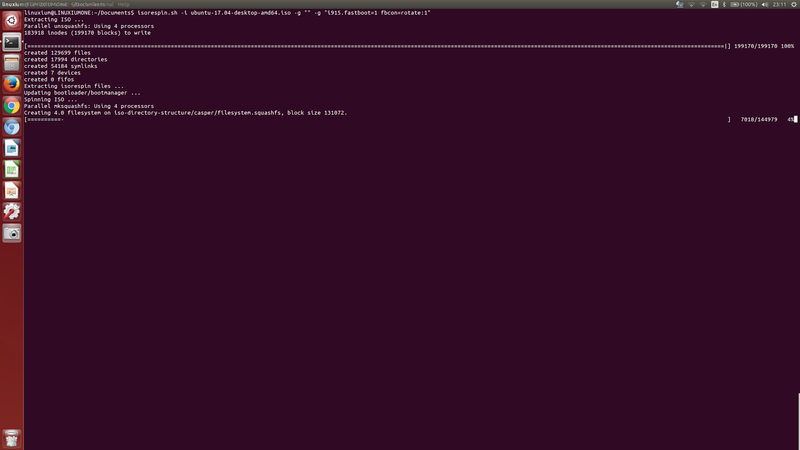 Again you can now delete the download and any files/directories created from the above commands. Similarly Remix OS also cannot include Google Play Store so by following http://liliputing.com/2016/01/remix-os-for-pc-how-to-install-the-google-play-store.html once you have booted Remix OS you can easily add it. 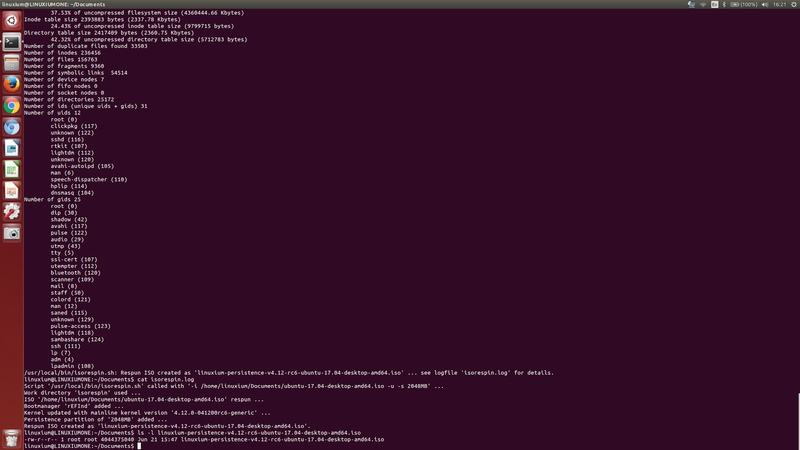 Finally reboot and select the Android-x86 system you wish to boot from the menu and enjoy! This is fun ... playing an Android game on Chromium OS running on a Windows Intel Compute Stick. The game (Unblock Me) runs using the App Runtime for Chrome (ARC) ... more details about ARC Welder at https://developer.chrome.com/apps/getstarted_arc (and for the game at https://play.google.com/store/apps/details?id=com.kiragames.unblockmefree and wallpaper at http://lukaesenko.com/wp-content/uploads/2014/07/socdix08.jpg). While waiting for a commercially built device you can always try Chromium OS on your Intel Compute Stick device (or similar) to get an approximation albeit with the (seemingly standard) caveats. As not all the readily available builds work flawlessly, I've built an image that includes wireless and also works with Crouton meaning you get two operating systems for the price of none! Yes that's right, Chromium OS and Ubuntu, and you can also run from a USB (or SD card on the Intel Compute Stick) meaning you won't affect your existing Windows installation. So three-in-one: that's got to be worth a donation surely? The bad news is that sound doesn't work (I have tried but it is complicated and I haven't succeeded yet) and I also haven't tried Bluetooth. Download my Chromium OS image file from https://drive.google.com/file/d/0B99O3A0dDe67ZlpDRXpCSXBJU1U and uncompress it (e.g. in Linux enter '7z x linuxium-chromiumos_image.bin.7z'). If you will be running Chromium OS on an Intel Compute Stick (ICS) you can use either a USB or an SD card as media. For all other devices you'll be limited to a USB unless you modify the boot loader configuration. Put the media you want to run Chromium OS on into your device. Next depending on which OS you are currently running, use either Rufus (Windows) or 'dd' (Linux) to write the image to the media (e.g. in Linux enter 'dd if=linuxium-chromiumos_image.bin of=/dev/sdX bs=4M' changing 'X' for the relevant drive letter, e.g. /dev/sda). 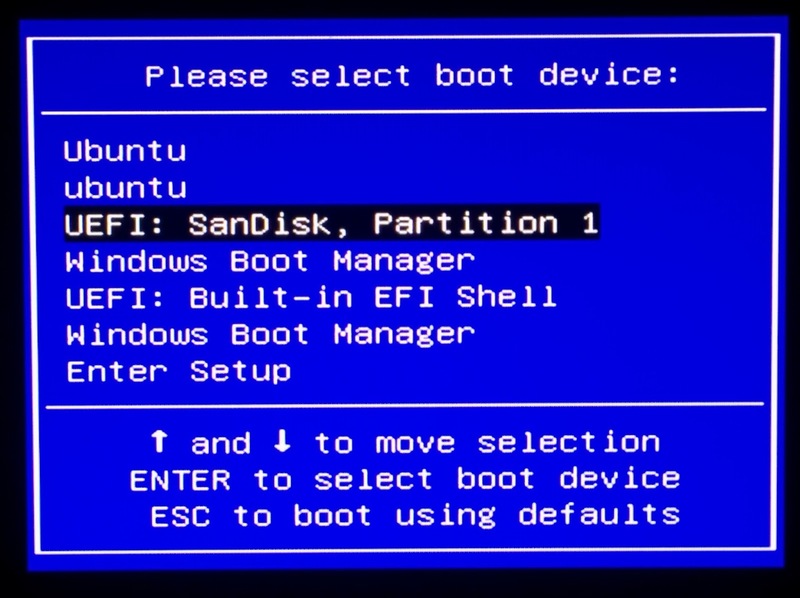 Then reboot the device and selecting the media from the boot menu options (rapidly hit F10 after power-up on the Intel Compute Stick to bring up this menu). Now patiently wait for everything to load. It will seem like nothing is happening so keep being patient. A perfect time to make a donation to me using your new smart phone! Again wait patiently this time as everything is configured. Magically, and before your eyes, the system panel will update (including orientation) along with the Chromium browser as all your settings are synced. Initially no wallpaper will be defined so to complete the install you should update with your favourite picture (hint: I keep my on Google Drive so I first download the image and then 'Set wallpaper'). Again change 'X' for the relevant drive letter, e.g. /dev/sda) and also note that there are three blank lines in the above 'gdisk' command which must be included for the command to execute correctly. You can now insert the media back into your initial device and boot from boot menu (F10 on the ICS). First make sure there is sufficient disk spare by increasing the 'home' partition to utilize all the available space on the media (see the above instructions). 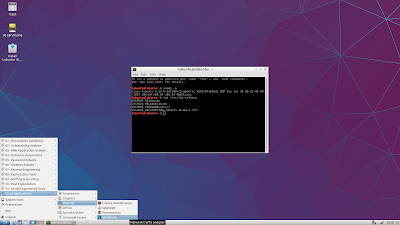 Click on the link on the web page shown as 'Chromium OS Universal Chroot Environment https://goo.gl/fd3zc'. Once more, patiently wait for the installation to complete, entering your username and password when requested. If you thought you had been patient before then this next wait while the installation completes will certainly test you. You definitely have time to go to another computer and make a donation to me. 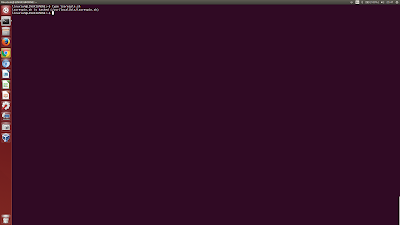 Now logout using system menu from top right of screen and you'll be returned back to the 'crosh' terminal. and Ubuntu with Unity will be displayed in all its full glory. The media used for Chromium OS (i.e. the USB or SD card) must be fast enough to ensure performance so don't use the oldest media you can find lying around. The minimum size for the media is 4GB to run Chromium OS or 8GB if you are also going to install Ubuntu via Crouton. Powerwash (see Settings/Show advanced settings) can be used to refresh your media to remove your current user settings and start afresh. But remember to select the media when each automatic reboot occurs during the powerwash process. I currently immediately stop 'powerd' (the system daemon that manages power states) on booting to prevent freezing and lockouts caused by being idle/inactive or entering sleep mode (and I really need to look at 'set_power_policy --help' as an alternative). From the 'crosh' window and at the 'shell' prompt enter 'sudo stop powerd'. This is a development release of Chromium OS and is based on code released by Google (see https://www.chromium.org/chromium-os/developer-guide) and hadess (see https://github.com/hadess). Whilst every effort has been made to make this release as stable as possible it is probably advisable not to use it in production systems. It has been extensively tested on the Intel Compute Stick. YMMV on other similar hardware. Enjoy and please donate (http://goo.gl/nXWSGf) if you like my work so I can continue next with Cherry Trail devices.